It’s a pretty technologically dominated world and with Google sat at the top in the rankings of all the world’s websites, you expect pretty flawless service from them. Unfortunately, this is not always the case and Google’s new auto-tagging algorithm for Google Photos turned out to be extremely racist. 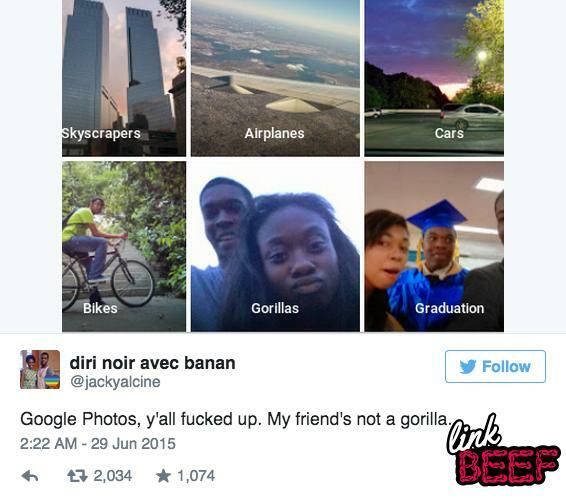 Jacky Alcin , a computer programmer from Brooklyn, was uploading a number of shots to Google Photos this week and he definitely did not expect this. The idea of the app is for it to automatically tag pictures and place them into categories based on similar sample images – which seems pretty neat – until they get it oh so wrong.